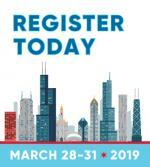 The ADAA 2019 Annual Conference will offer up to 29.5 CE or CME credits or hours to registered professional physicians, psychiatrists, neurologists, psychologists, social workers, counselors and case managers. ADAA members may sign up for CE or CME credits at no additional cost. Non-members may sign up for CE or CME credits for an additional fee of $60 per discipline. Continuing education credits are for professional attendees only; those paying student, trainee/postdoctoral fellow/resident, guest, or consumer fees cannot apply for CE or CME credits. All registrants who want credits must complete the online continuing education session evaluations and overall conference evaluations available during and after the conference. Emails will be sent to registrants eligible for CE or CME one week prior to the conference. Educational programming includes workshops/sessions from ADAA’s annual conference, bi-monthly professional webinars, online thematic professional peer consultation groups, clinical fellow opportunities, podcasts, blog posts and complementary educational offerings hosted by partner organizations. This course is co-sponsored by Amedco and Anxiety and Depression Association of America (ADAA). Amedco is approved by the American Psychological Association to sponsor continuing education for psychologists. Amedco maintains responsibility for this program and its content. The American Board of Psychiatry and Neurology accepts Category 1 CME CreditsTM from accredited providers by the American Council for Continuing Medical Education (ACCME). Category 1 CME CreditsTM will be available at the Anxiety and Depression Conference 2019. More details will be available in January 2019. Association of Social Work Boards (ASWB): As a Jointly Accredited Organization, Amedco is approved to offer social work continuing education by the Association of Social Work Boards (ASWB) Approved Continuing Education (ACE) program. Organizations, not individual courses, are approved under this program. State and provincial regulatory boards have the final authority to determine whether an individual course may be accepted for continuing education credit. Amedco maintains responsibility for this course. Max 29.5 hours. New York State Social Workers: Amedco SW CPE is recognized by the New York State Education Department’s State Board for Social Work as an approved provider of continuing education for licensed social workers #0115. National Board of Certified Counselors (NBCC): Anxiety and Depression Association of America (ADAA) has been approved by NBCC as an Approved Continuing Education Provider, ACEP No. 6872. Programs that do not qualify for NBCC credit are clearly identified. ADAA is solely responsible for all aspects of the programs. California Marriage and Family Therapists, Licensed Clinical Social Workers, Licensed Clinical Counselors, and Licensed Educational Psychologists: The CA MFT Board and BBS accept credits from providers approved by the National Board of Certified Counselors (NBCC) and the American Psychological Association (APA). ADAA is an NBCC provider and is co-sponsoring with Amedco, an APA provider. For more information, click here. Physicians assistants and nurse practitioners: The American Board of Psychiatry and Neurology accepts Category 1 CME Credits from accredited providers by the American Council for Continuing Medical Education (ACCME). Category 1 CME Credits will be available at the Anxiety and Depression Conference 2019. More details will be available in January 2019. ADAA has applied for approval from the American Board of Psychiatry and Neurology for self-assessment activities for psychiatrists at the Anxiety and Depression Conference 2019. Details on total credits and session information will be available in January 2019. Conference attendees qualifying for continuing education credits or continuing medical education credit will be provided with a username and password for the online program. At the conclusion of the conference, attendees may begin their session evaluations in the online program, and will then be prompted to complete the overall conference evaluation. CE and CME certificates can be printed immediately upon completion of the above steps. Psychiatrists registered for the conference will receive instructions and links to pre- and post-assessments of the sessions listed above. In order to obtain credit, the pre-assessment must be completed BEFORE the session start time, the session must be evaluated via the online process described above, and the post-assessment must be completed. Registrants who are unable to attend each SA MOC designated session can view the presentations in the online program or the mobile app. The annual conference of the Anxiety and Depression Association of America (ADAA) is designed to meet the educational needs of member and nonmember clinicians and researchers by providing training, dissemination of evidence-based treatments, and translation of the latest research. Anxiety disorders and depression are common and disabling. Anxiety disorders comprise a diagnostic category that includes generalized anxiety disorder, panic disorder, obsessive-compulsive disorder (OCD), posttraumatic stress disorder (PTSD), social anxiety disorder, and phobias. Lifetime prevalence estimates for all anxiety disorders and major depression are 28.8 percent and 16.6 percent, respectively. Mental illnesses account for more than half as many disability days as all physical illnesses, with anxiety and depressive disorders being the major causes of disability. More than 40 million adults have one or more anxiety disorder, and 19 million adults have depression; anxiety disorders are the most common mental illnesses in children. Research has long documented the high comorbidity between anxiety disorders and depression; the latest data continues to highlight the importance of understanding the overlap between these disorders, not only with respect to their etiology, but also in terms of treatment course. In 50 percent of diagnoses, individuals have comorbid anxiety and depression. Additionally, anxiety and depression are the primary illnesses associated with suicide. To continue leading the field, ADAA has broadened its mission and vision to encompass anxiety and depressive disorders. The desired results for the conference are that attendees are aware of the latest developments in preclinical and clinical research, are able to translate this knowledge to clinical practice, apply evidence-based research to practice, discuss real-world clinical experiences to influence research, and develop new skills and techniques to improve diagnosis, prevention, and treatment of anxiety and depressive disorders. It is also expected that researchers and clinicians will discuss how specific diagnoses manifest in the clinic and the reality of implementation of evidence-based and novel treatments in real world settings. Additionally, participants will evaluate and discuss how to use new technologies and social media in research and clinical practice, thus advancing the dissemination and implementation of empirically based and novel treatments. Attendees are professionals, trainees, residents, and students committed to the diagnosis, treatment, prevention, and cure of anxiety disorders, including OCD and PTSD, depression, and stress-related disorders in children and adults. The audience includes physicians, psychologists, social workers, therapists, counselors, nurses, clinical researchers, case managers, and basic neuroscientists from the United States and other countries. Attendees include ADAA members and nonmembers. ADAA anticipates attendance of more than thirteen hundred clinicians, researchers, students, trainees, postdoctoral fellows, and residents. This professional education conference will highlight and address gaps in current treatment with the focus on new research at various psychosocial and biological levels that is shedding new light onto the etiology, pathophysiology and treatment of anxiety and major depressive disorders. The focus is to integrate these new findings with current and future clinical practice with the goal of optimizing and applying treatment responses. In addition, sessions will integrate treatment and research issues relevant to cultural, racial and socioeconomic diversity. The Anxiety and Depression Association of America (ADAA) is fully committed to conducting all activities in strict conformance with the American Psychological Association's Ethical Principles of Psychologists. The ADAA will comply with all legal and ethical responsibilities to be non-discriminatory in promotional activities, program content and in the treatment of program participants. The monitoring and assessment of compliance with these standards will be the responsibility of the President in consultation with the members of the continuing education committee, the ADAA Conference Coordinator and Conference Chair. While ADAA goes to great lengths to assure fair treatment for all participants and attempts to anticipate problems, there will be occasional issues which come to the attention of the conference staff which require intervention and/or action on the part of the conference staff or an officer of ADAA. This procedural description serves as a guideline for handling such grievances. Learn more.